Sodas are one if not the most popular drinks in the entire world. Sure we all enjoy its tasty flavor, and can refresh our bodies and mouth in a hot summer day. But, did you know that sodas are really bad for your teeth? Today we are going to dive into this matter to try to change your mind if you are addicted to sodas. The first thing you need to know is that sodas have ton of sugar in them. And I mean a lot of sugar, drinking only one can of soda it is the same has swallowing a glass of sugar. Disgusting, isn’t? Well, imagine all that sugar in your mouth and coating your teeth. Or even worse, think about how it looks in your stomach. It is only a matter of time before your teeth start to decompose and rot if you ingest tons and tons of sugar. So in fact, consuming a lot of sodas can help plaque to build up, which leads to cavities. Maybe you have heard of the famous myth of the tooth submerged in soda and in a few weeks it disappeared. Well, it is indeed true! That is thanks to the acidic substance in sodas, plus the sugar. Another problem with sodas is the stains and discoloration that can cause to our teeth. Thanks to their chemicals and additives they can easily stain our teeth pretty badly. That can be the same or worse than abusing coffee and cigarettes. There is a common misconception that says that if you drink with a straw you will be fine from drinking sodas. That certainly can help a bit but it brings another important topic to the table. And that is nutrition. Are sodas bad for your diet? Short answer, yes. Sodas don’t contribute with any nutritious content at all. It is just pure sugar and carbohydrates. It may be good for gaining energy, but not nice if you want to eat well and healthy. Also it is very important that you understand that the way we eat can affect our health. Even if the sodas don’t touch your teeth directly, poor nutrition will affect your oral health. It is nice to take care of ourselves and live healthy lives. But you have the obligation if you have kids to teach them about proper nutrition and the harm that it can do to their health. In the long run they are going to thank you with a big smile. How can I avoid the side effects of sodas? The best way to avoid the side effects of drinking sodas is to not drink any of them at all, period. Honestly, that is the best advice I can give you if you want perfect teeth although I know it is impossible, we all enjoy sodas. So the next best advice is to take care of your teeth with good old fashioned dental hygiene. And it really is that simple, just grab your toothbrush and brush away. Brush your teeth at least twice every day, especially after drinking sodas. 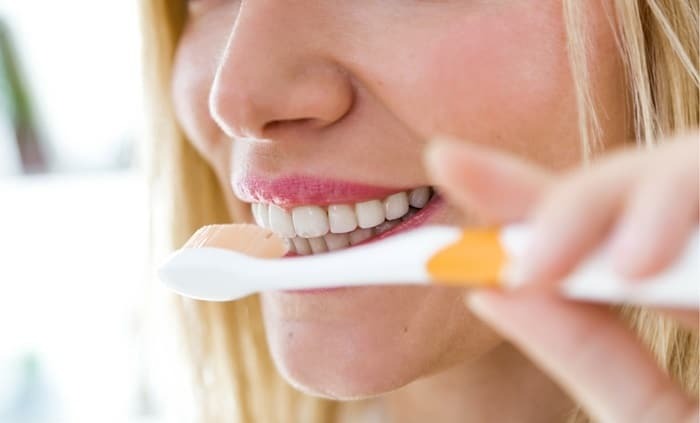 Another good friend is your mouth wash, rinsing your mouth with the proper mouthwash after brushing will help to get rid of bacteria and plaque. 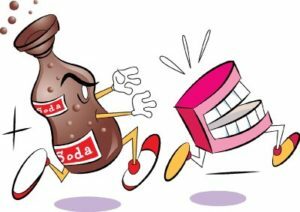 If you do not have mouthwash handy, rinsing your mouth with a bit of water can help to mitigate the effects of sodas on your teeth. Last but not least, visit your dentist twice a year to get your regular cleaning. This will make your smile even shinier and healthier. If you wish proper cleaning with good prices and quality, don’t be shy and visit us in Dental Solutions in Los Algodones, Mexico.